On Monday, finally, Google made Android P official with the reveal of Android Pie statue at their Mountain View Campus. 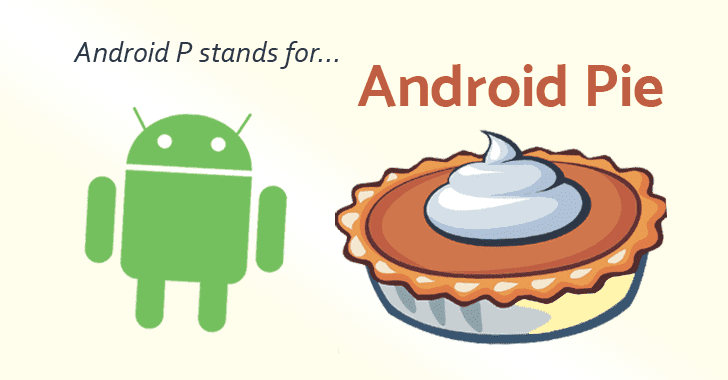 Now with the launch of official Android Pie, all Android users are excited about when their phones will get the latest version and what to expect in that. The Android Pie operating system is betting high on Artifical Intelligence. Android Pie will take note of your mobile usage patterns and will make sure the right applications work in the background and those not needed are closed. This will save you a lot of battery juice. The adaptability comes in the screen brightness too. You wouldn’t have to change the screen brightness, the phone itself will adapt to the changing environment. Sounds cool, right? Android Pie comes with App Actions that predict what action you are about to perform with a certain application or phone intent. For example, when you plug in your headphones, Android displays your most probable action on top e.g music by your favorite artist or a person you contact often. Through Slices you will be able to see the major features of the application without actually opening it. For example, if you search Uber it will show you estimated arrival time of drivers around you or prices to locations you visit often. Android is stepping its game up with more gesture-based Navigations. Switching between the applications can happen with gestures without the push of a button. Dashboard application will be a window to how you are using your mobile phone daily. It will provide analytics showing how much and where you spend most of your time on your phone and how much notifications do you get on a daily basis. Apparently, this will help you block certain apps which you are going off limits with them. These are some of the features that we are excited about in particular but they do not simply end here, Android Pie users will see a plethora of visual changes here and there which looks vibrant and refreshing, to say the least. Keeping the tradition alive Android Pie is available for Pixel phones, and is expected to roll out for other ones later.